It has been almost one full month I learned about Affiliated business , how to market products , consumer closer to earning big . However , until now I did not succeed and do not understand well the technique works . Finally I decided that to Determine A Successful Opportunity , I have own way . This is how I'm doing manual survey with a visit at the website / blog in Social Networking also social . If this survey has come to the end point , then it could be an existing business Affiliated on this blog I leave or I continue to focus on one product alone . Then what good will my survey blog / website and also social networking ? ? The following explanation . I will do a survey on the blog / website to see what products are sold , whether book , E -book , Game and others . I am going to social networking surveys such as Face book, Twitter and others . Survey I focus on the big picture statuses they made, I will collaborate if they are right on the status of a particular product . I did this survey in two ways: how off line and on line . Off line course in everyday life , while on line through cyberspace . I'm doing this survey has been running for 1 week , and I will be a target in 3 months , so it will be seen which product is suitable as an earning opportunity . 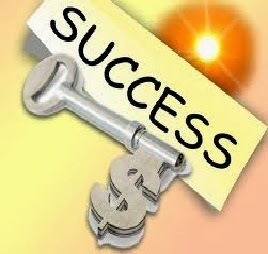 What do my friends , is precisely Determine A Successful Opportunity through this my way , give comments ya ! ! .